When I first started as pastry chef at Tao Yuan restaurant in the summer of 2015 I remember being honest: I had no real experience making Asian food, let alone traditional Asian desserts. My experiences thus far had left me with some familiarity of non-western flavors– things like pandan, mochiko and black sesame were certainly not new– but these ingredients had always been incorporated into recipes that were deeply rooted in European tradition. I was, however, very curious, as well as committed to research, and excited to learn new things. When cooking, either at home or professionally, we are all operating out of a database of stored memories. This sets our expectations and creates our reference points, a kind of subconscious checklist that, when the process is going well, affirms that a recipe will be successful. After becoming skilled at making a simple butter cookie, for example, you can also make a pâte sucrée, or a basic sponge cake. The weekly regional dinners that we hold at Tao Yuan have turned this comfortable formula on its head for me. Trying to create an authentic Chinese dessert, technique and all, is a challenging and fun way to expand my preconceived notions—of what is pleasing, and how food is supposed to look and taste and feel. I am learning new fundamental methods, a rather terrifying process that involves extensive research, followed by blind trust as I diligently forge ahead into a new recipe. Like a bad movie, I have to suspend my disbelief or risk self sabotage– for example, if the recipe says to leave a lump in the middle of a rolled dough, do it! – despite that this is directly opposed to the obsessive practice of rolling out doughs flat and even. If you do not leave a lump in the middle of a soup dumpling wrapper, the bottom will fail to be sturdy enough to support all of its filling as it cooks. It is a humbling process, as well as an emotional rollercoaster, but one that is rewarded when there is success; a new technique learned, a new texture or flavor to crave, the thrill and surprise of the previously unknown. Especially when the previously unknown turns out to be delicious! These Rose Scented Lotus Patties are a regional dessert from the Shaanxi province in China. Sweet, salty, crunchy and aromatic, they are near perfection. 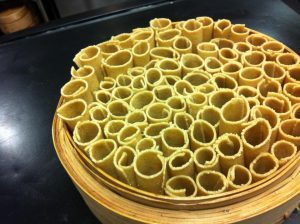 The “dough” is made by pulsing lotus root in the food processor until it forms a loose paste. The lotus patties look destined to fall apart during the shaping process; however, once they hit hot oil, the starches bind and you are left with beautiful, cohesive little dumplings. Lotus root is the actual stem of the lotus flower, and is available in many Asian markets. This recipe also calls for rose petal jam- I made mine last summer with fresh rose petals, but it is also available at Middle Eastern Markets. Thoroughly wash the lotus root externally and internally, and dry thoroughly. Peel and cut into ½ inch cubes. Pulse the lotus root in a food processor until finely ground. Add the cornstarch and lemon juice, and blend until you have a relatively smooth paste, stopping periodically to scrape down the sides. This takes longer than you might imagine. The lotus paste will start to come together, although it will never be totally cohesive. Drain off any excess liquid, and put in the refrigerator to chill. Combine all ingredients for the filling in the food processor, and pulse until you have a paste. Put in the refrigerator to chill. Take the lotus root paste out of the refrigerator, and divide into 20 pieces. Press each piece into a rough ball and return to the refrigerator. Take the walnut filling out of the refrigerator. At this point, it should have solidified to the texture of firm butter. Roll into 20 balls. If it starts to melt or becomes difficult to roll, return to the fridge to firm up before proceeding. Put the rolled balls into the freezer to fully chill for at least 10 minutes. Make the sauce: Whisk rose petal jam and honey together until smooth, adding water as needed until you have a pour-able consistency. Poke a hole into one of the lotus paste balls and place a ball of the walnut filling inside of it. Push the lotus paste around to cover the filling and squeeze gently into a rough ball. Return to the refrigerator. Repeat until you have 20 filled dumplings, pausing to let the filling chill if it becomes difficult to work with at any point. Heat an inch of oil in a wide frying pan on medium high heat. Once the oil is hot, carefully slide in the lotus dumplings, being careful not to crowd the pan. Fry on both sides until golden brown, a minute or two on each side. Use a slotted spoon to remove dumplings from the hot oil and onto a plate. Generously pour the sauce over before serving. 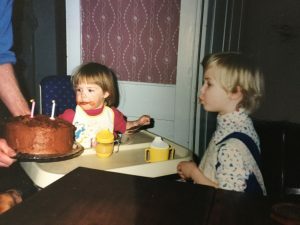 Kate’s love for pastry started young! Feb 10 – Chinese New Year! Located in the Northwest, Muslim-inspired cuisine holds sway in the province of Xinjiang. The food reflects the tastes and cooking styles of Uyghurs, Hui Muslims and Tibetans, with defining flavors of the dishes being chilies, meats, breads and cumin. The most commonly used protein on the region is lamb. A popular dish of the region is a “Big Plate of Chicken”, which was created by the Sichuan’s who immigrated to this area. Their goal was to make a meal that would satisfy the appetites of the people who worked long days at very physical, demanding jobs. The coastal Shandong province lies at the mouth of the Yellow river in Northeastern China. Three major culinary branches have influenced the region: first, decedents of the Confucius, whose refined flavors can be seen in a dish called Yellow Braised Duck (the less famous cousin of Peking Duck, but just as delicious and easier to prepare); second, the Jiaodong Peninsula, known for seafood dishes; and third, Jinan, whose local flavor is abundant with garlic. In turn, this province has had a substantial influence on all Northern Chinese cooking with its rich and savory local dishes–which we will showcase in our Shandong-style pork ribs. The influence of this province has been so large that the entire region is often referred to as “Shandong School”. Shaanxi cuisine has a number of both modern and ancient influences. Eastern and Northern China, Central Asia, as well as the Central highlands have all melded together to create the flavors, cooking methods and traditions of this province. The culinary heart of Shaanxi is in the capital, Xi’an– the power and wealth of the metropolitan area attracted many chefs from all around the country, providing a number of different influences in the cuisine. For many years feuding tribes fought over the province of Shanxi, bringing a mixture of food traditions to the province. 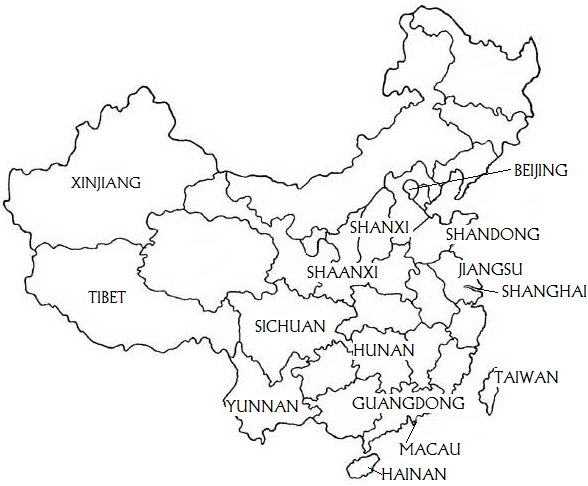 Pork is the major protein of the area considering the province is inhabited solely by the Han Chinese. Noodles also play a large part in the cuisine of Shanxi; it is said that “all the world’s pastas can be found in Shanxi alone.” The province is also distinguished for the rich flavors and aromas of its aged black rice vinegar which is often put to use in sweet pickled garlic cloves. The dishes of Shanghai are often referred to as the “children of a thousand mothers,” as the province can be easily accessed by the Grand Canal, its close proximity to railroads and highways, and its western influence. It is difficult to define the tastes and textures of the province due to its varied influences from various cuisines. The people of Shanghai refer to their fare as “our gang’s food”, which is highly seasonal and features a large amount of both saltwater and freshwater fish. Grandma Tang’s roast pork buns are my (Cecile) grandmother’s Shanghainese influence of a classic northern dish. A Shanghai specialty is a dish called Lion’s Head, which is a dish composed of oversized meatballs that are surround by cabbage, resembling the mane of a lion. Yunnan, meaning “south of the clouds,” is made up of mountainous lands stretching from Tibet down to jungles that border Vietnam. Due to its location, the province is very diverse in its agricultural products and is inhabited by more ethnic groups than any other area, each having their own specialty dishes. Various tribes traveled through the area for centuries and brought a variety of herbs and spices to the region’s cuisine. Herbs such as cilantro, Vietnamese coriander, perilla leaves, and pandan fronds are commonly found in the dishes of this province, as well as an assortment of mushrooms and chilies. Fresh dishes such as spicy mint salad and wok-sautéed maitake mushrooms showcase the connection between the diverse vegetation and local fare. Hainan is a small island located in the South China Sea. The cuisine of this area is influenced by a mix of Chaozhou (an eastern city in Guangdong province), Southern Fujian, and Hawaii. With its subtropical location, seafood and tropical fruits are a very important part of the local fare. That said, the most popular dish of the region uses neither: Hainan Chinese Chicken and Rice is the region’s famed recipe. A simple yet rich and indulgent dish, it consists of slow braised chicken atop white rice cooked in the rendered chicken juices. The population of Hainan consists primarily of the Hakka people whose ancestors migrated to the Southlands from Northern China due to civil unrest. As people continued to migrate south over a number of years, this migration eventually developed a cuisine that would become the backbone of Southern China’s heartiest recipes. Hakka food is unique in that it is defined by a group of people rather than a region. The fare tends to be simply seasoned with a variety of dried fruits and fermented ingredients. Mei Cai Kou Rou, a dish consisting of braised pork belly and fermented mustard greens, is a lovely example of the simplicity and creativity of Hakka cuisine. Hunan is referred to as “the land of rice and fishes.” The land is extremely fertile; in fact this province produces the largest quantity of rice than any other province in the country. It is also second in production of pork, beef and lamb. Also known as “Xiang Cuisine,” Hunan fare has the reputation of producing flavors even hotter than the mouth numbing flavors of Sichuan; however, there is a greater variety of produce (including, notably, citrus) due to its more southern location. Traditionally the people here believe that cooking with chilies is beneficial in that it dries out and cools down the body, thus allowing the people who reside here to live more comfortably in the damp climate with its hot summers and cold wet winters. The cuisine is focused largely around elaborate preparation and attractive presentation. The most popular dish of the area is Crispy Orange Beef, which is a beef dish marinated and complemented with the flavors of chilies, ginger and citrus. Sichuan’s cuisine is known for its distinct, mouth-numbing spice. Three major cites offer variation in the region: Chengdu, Chongqing and Zigong. In Chengdu you find more refined and conservative flavors alongside casual street foods that provide the numbing spice from the Sichuan peppercorn. One of the favorites of the region is Mapo Doufu, tofu that is infused with the Sichuan peppercorn and served with minced pork. Another famous dish of the region is Shui Zhu Yu, literally translated to “water boiled fish” (which fails to mention the layer of chilies and chili oil covering the water!). In Chongqing chilies are used abundantly, creating dishes with complexity and flare. Zigong’s cuisine is heavily influenced by its history of being a salt-production area; beef has traditionally been a bountiful ingredient due to the use of water buffalo to extract salt from deep saline wells. Macau is composed of a small peninsula and two islands, and is often associated with its Hong Kong neighbor. Like Hong Kong, for 450 years the region was a Portuguese colony, it was not until 1999 that the Chinese government assumed formal sovereignty. Considering its history the food of this province has heavy European influences, much more than any other area of China. The traditional Portuguese flavors can be tasted in Macanese Bacalau, a salt cod dish composed of potatoes and black olives as well as some Chinese ingredients such as coconut cream and ginger. Guangdong (formerly Canton), a coastal region of Southeast China bordering Hong Kong and Macau, has three branches of cuisine — Guangzhou, Chazhou and Dongjiang. The province in known for using a wide variety of ingredients that is able to offer food for all tastes. The cuisine of Guangzhou (the capital of the province) is the most widespread food you will find in Guangdong. The dishes change seasonally, offering lighter and brighter flavors in the summer and autumn, and stronger yet mellow flavors in the spring and winter. The cuisine of Guangzhou tends to be lighter and focuses on more nutritious dishes that aid in good health. 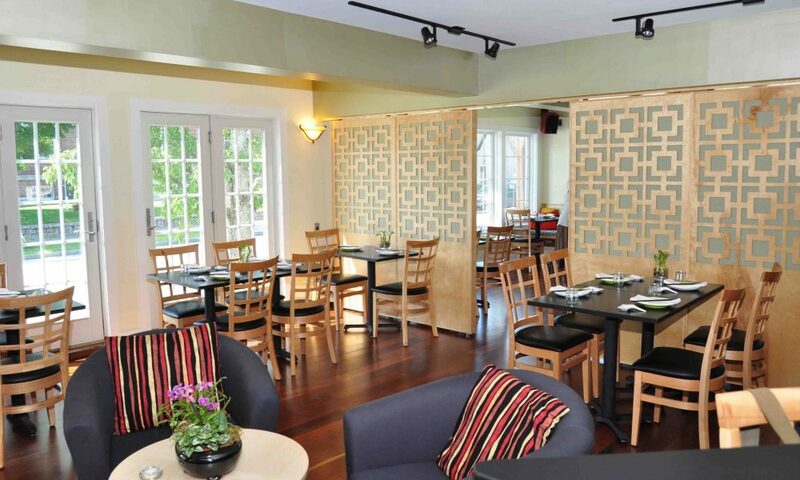 Chazhou takes influence from their southern neighbors and provide similar flavors to Fujian food. Dishes here often incorporate seafood and a variety of soups; the flavors and textures tend to be thicker, sweeter, and richer. Lastly, Dongjiang cuisine concentrates on using domestic animals and poultry, and the flavors of this style tend to be slightly salty with simple sauces. Cheung Fun Rolls, although very popular around the country, originated in Guangdong. The Cantonese translation of Cheung fun is “pig intestine noodle”. The noodles appearance is similar to intestine, but in reality is a deliciously steamed noodle made of rice and can be filled with pork belly and a variety of other ingredients. The flavors of Taiwan are heavily influenced by the Japanese who occupied the province from 1895 until 1945; however, the cuisine changed significantly following the civil war in 1949. After Mao Zedong, many people flooded into Taiwan, bringing different cooking methods and traditions which resulted in an amalgam of techniques and flavors all available in one area. Despite the vast array of influences on the region, the Taiwanese consider their most popular dishes as true Taiwanese specialties. One of these is Ba Wan, an oversized steamed dumpling made with sweet potato flour. 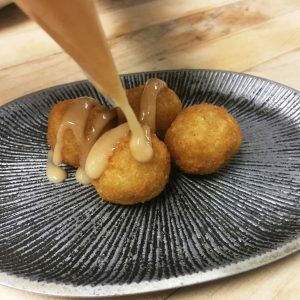 So we are kicking off our restaurant blog two years late – no longer a small mother/daughter restaurant, but a multi-restaurant group, called Eighty Ate Hospitality with two, soon-to-be three, restaurants and an amazing team. Two winters ago, while trying to keep busy during snowstorms, we had the idea to share with the world different aspects of our industry. We were just kicking off our Tour of Asia and had to cancel two Sunday suppers because of a projected six to twelve inches of snow. And so here we are again, only this time we are going to make our blog stick! This winter at Tao Yuan, after just returning from a three week tour of China with my Bao Bao kitchen manager Josh Amergian, we decided to run a Sunday dinner series exploring the regional cuisines of China. After having lived in both Shanghai and Beijing for four years before moving back to Maine, the one thing I missed more than anything else was regional Chinese cuisine. Trips to Chinatown would satiate some of the more mainstream loves I have for mapo doufu, dry fried green beans, and kung pao chicken, but I never came across some of the more obscure and delicious dishes that I would find every day in China. Some of that might be because I couldn’t communicate everything to the kitchen (my Chinese has steadily gone downhill since moving back and it was not that good to begin with), but most of it lies in the fact that mainstream America is not totally on board with the way the Chinese approach food: eating everything, chewing around bones, cracking through crab shells, learning to share, etc. This is slowly changing and our regional dinners are a way to be a part of this change and to help expose the delights of regional Chinese cuisine. From Shanxi we will go east to Shandong, famous for its love of garlic and technical cookery. Being at the mouth of the Yellow River, there is an abundance of seafood in their cuisine. 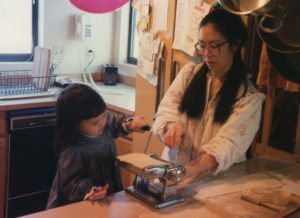 My mom and I have fond memories of being together in Beijing where we would wake up and go to the market for breakfast. In the far corner of the wet market were a husband and wife team from Shandong that would make some incredible, extra large, extra dry versions of a jian bing with corn meal in the batter and lettuce in the wrap. They were our favorite. This year when Josh and I were in Beijing, we tried to find them, but alas, they were closed for the lunar New Year and had already migrated home for the holiday. From Shandong, we will be heading to Xinjiang, Beijing Kao Ya, Sichuan, Hunan, Yunan, Macau, Hainan, Tibet, and will finish with my ancestry, Shanghainese. We will still be leaving out so much, but there’s always next year! I fell in love with food when I was in China. When I moved back to the US, the three things I couldn’t stop craving were jian bings (savory Chinese crepes), zha jiang mian (hand pulled noodles with shredded fresh vegetables and a salty pork brown bean sauce), and gan bian si ji dou (dry cooked green beans). Below is a recipe for jian bings; it is complicated and requires a bit of finesse, but is delicious and can be eaten any time of day. My second favorite version of this dish is with a a chicken or pork cutlet, pounded it out like schnitzel, breaded and fried, and wrapped in the bing! It makes an excellent hangover prevention if consumed before passing out. Whisk dry ingredients together in one bowl. In another bowl mix the water and eggs, whisk together both dry and wet ingredients and salt to taste. Let rest for at least 30 minutes, it can also sit over night and hold for several days in the fridge. Mix all three and quickly cook on the stove, if you desire a thinner sauce feel free to add water to consistency. Pulse dry chilies in a robo coupe(cuisinart), mortar and pestle pestle, or blender until almost a powder. Heat oil to 275*F and pour over powdered chilies. Let cool. Turn the burner onto to medium to medium high heat. Use a lightly greased 12in crepe pan or 12” nonstick sauté pan Pour 1/3c of batter into the warm pan and quickly distribute the batter to form a very thin crepe, do not worry about wholes. Crack in one whole egg , break the yolk and distribute the egg over the crepe filling in any whole you had on your first go. Sprinkle with sesame seeds while the egg is still runny if you like. One the egg is mostly set on the pancake, flip over and brush with a tablespoon of brown sauce and chili oil. Sprinkle with scallion, cilantro, and a fried wonton for crunch. The toppings are endless, fill with a fried chicken cutlet, grilled mushrooms, lettuce, pickles, hotdogs, whatever you please! Fold up and enjoy!